Donald Trump continues to defend the Saudi authorities and refuses to convict Crown Prince Mohammed bin Salman of the murder of journalist Jamal Khashoggi, who disappeared in the Istanbul Consulate on October 2. The US president said that Saudi Arabia remains the “ally” of the United States, even if it turns out that Ben Salman was the customer. Trump does not want to lose such an important partner as Saudi Arabia, which the United States and its ally Israel need to fight with Iran. At stake are also the $ 110 billion contracts for the sale of American weapons. And most importantly - the price of oil. Thanks to the restraint of the Oval Office in relation to Saudi Arabia, the price of oil for the day fell by 7% - up to $ 62 per barrel. As a reciprocal service for his silence, Trump may require the monarchy not to reduce oil production at the OPEC meeting scheduled for December. Financial experts, to which the agency Bloomberg refers, are already predicting a new oil crisis, comparable to what it was in 2014. In November-December of that year, “black gold” collapsed by 33%. Trump cares about the American consumer is alien to congressmen. Leaders of the Republicans and Democrats in the Senate Foreign Relations Committee, Senator Bob Corker and Bob Menendez, sent a letter to the White House to officially initiate an investigation into whether the order to kill Khashoggi was given personally by Crown Prince Bin Salman. In this issue, Democrats and Republicans are working hand in hand, both calling for toughening of measures against Riyadh, to the point of refusing to sell weapons and buy Saudi oil. It is unclear how Trump will be able to defend an alliance with the Crown Prince. The head of the White House has already been placed in a defensive position. “I have no business with Saudi Arabia,” Trump justifies. If he goes against the Congress, the president will face another investigation in addition to “relations with Russia” - about “conspiracy” with Mohammed bin Salman. Congressmen do not loosen their grip. On the same day, when he was taking the rap for bin Salman, Trump gave written testimony to special prosecutor Robert Muller in the case of "Russia's interference in the elections." On the other flank, the Democrats attacked, threatening with an investigation against the daughter of President Ivanka Trump. She is accused of using personal mail for official correspondence. No matter how strange it may sound, now Russia's interests do not coincide with Trump, but with his opponents. 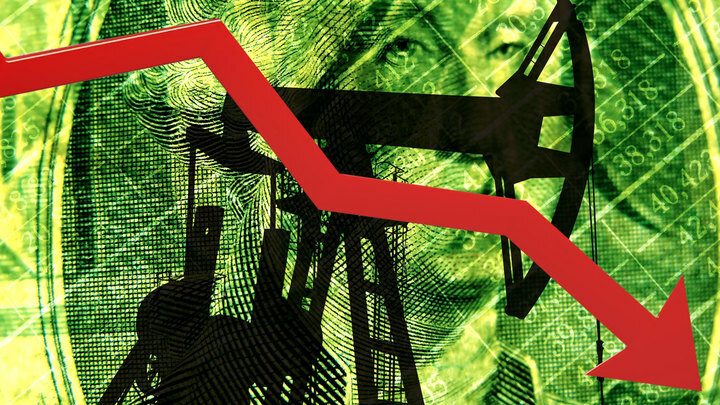 The aggravation of Saudi-American relations will restore oil prices. Offended Riyadh will be forced to seek an alternative to Washington. It is possible that in the face of Russia and China.